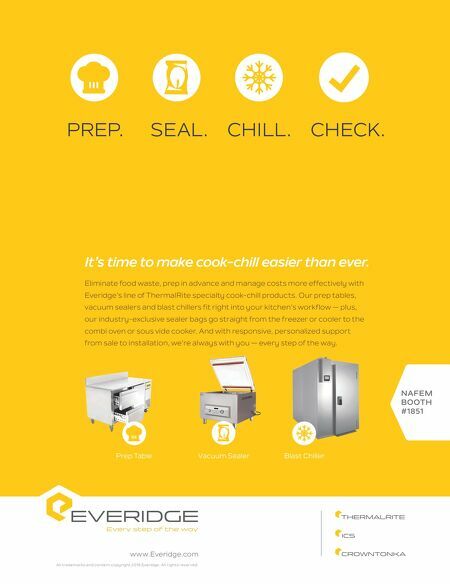 Eliminate food waste, prep in advance and manage costs more effectively with Everidge's line of ThermalRite specialty cook-chill products. Our prep tables, vacuum sealers and blast chillers fit right into your kitchen's workflow — plus, our industry-exclusive sealer bags go straight from the freezer or cooler to the combi oven or sous vide cooker. And with responsive, personalized support from sale to installation, we're always with you — every step of the way. 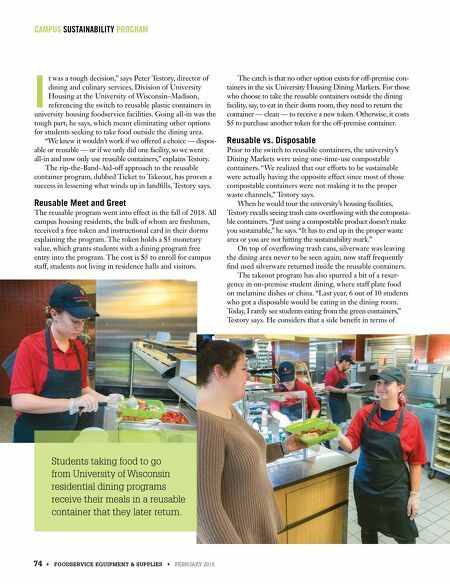 It's time to make cook-chill easier than ever. NAFEM BOOTH #1851 Prep Table Vacuum Sealer Blast Chiller PREP. SEAL. CHILL. CHECK. www.Everidge.com All trademarks and content copyright 2018 Everidge. All rights reserved.